With five rounds complete in the Top 16 in the Euroleague, the groups are taking shape but there is still plenty of action left. There were some big wins this week, and some damaging defeats, with the Friday night action offering up excitement and drama right to the end of the evening. With three Group E games taking place on Friday night, this was the focus of attention for European basketball fans. The three matches across Europe offered up plenty of talking points, actual points and a great deal of action for basketball lovers to enjoy. If you were looking for a game that raged from end to end, the clash in Malaga would have been right up your street. This is because over the course of the evening there were 10 ties and 22 changes of lead. The win sees the Turkish side move on to a 3-2 record in Group E while the hosts fall to a 2-3 record. The hosts had their chances to take control of the game, leading 59-50 in the third quarter but the away team grabbed control and didn’t let up. In the last five minutes of the game, the hosts were kept at bay and the Turkish side strolled to a comfortable win. Jayson Granger grabbed 22 points, 12 of them coming late on, Jon Diebler grabbed 16 points, with 5 coming in the last 25 seconds of the game and Cedi Osman offered up 10 points for the winning team. Richard Hendrix and Mindaugas Kuzminskas both provided 16 points for the hosts, DeMarcus Nelson provided 11 points and Carlos Suarez grabbed 10 points in the defeat. The hosts are now in second place in Group E and both teams hold a 3-2 record. The Belgrade side were flying at the start with Quincy Miller providing 14 points in the opening quarter, before going on to grab 24 points in total. Tarence Kinsey delivered 19 points and Maik Zirbes provided 18 points and 9 rebounds in the win. Lokomotiv weren’t at their best although Anthony Randolph grabbed 22 points, Malcolm Delaney provided 16 points and Victor Claver notched a double-double with 15 points and 10 rebounds. The Greek side triumphed in a pulsating encounter in Athens, moving onto a 2-3 record in the Group, while the Turkish side are still winless after five games. Neither team managed to grab a convincing lead at any point, with 9 being the biggest margin between the two teams. 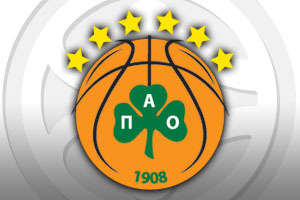 Panathinaikos were without Dimitris Diamantidis but led at half-time and a strong spurt at the start of the second half placed them in a good position. However, Jamon Gordon led the Darussafaka comeback and with two minutes to go, the away team were 72-74 ahead. They couldn’t hold on though and the hosts edged in front by the end of the game. Miroslav Raduljica grabbed 17 points and 8 rebounds, Nick Calathes provided 14 points and 9 assists while Vladimir Jankovic picked up 12 points for the winning side. There was a career high for Jamon Gordon with 26 points and the player also offered 5 rebounds, 3 assists and 2 steals. Luke Harangody provided 18 points and Semih Erden managed to notch 11 points in the loss. There were two games in Group F on Friday night and they were both full of high drama and plenty of points. In a high scoring game, the hosts moved on to a 4-1 record while Kaunas fell to a1-4 record. The home team was 25-18 ahead after just 10 minutes and there was no let up from the Moscow side. A 12-1 run in the second quarter put them well in command and at half-time; the score was 52-38. In the second half, the same pattern continued with Khimki stretching their lead and remaining well clear of their opponents. Tyrese Rice grabbed 20 points and 11 assists, Tyler Honeycutt offered 14 points, Alexey Shved grabbed 13 points, Petteri Koponen provided 12 pints and Zoran Dragic offered up 11 points. Unsurprisingly, this was a record scoring night for the club. Kaunas were led by Renaldas Seibutis with 15 points, Ian Vougioukas offered 14 points and Edgaras Ulanovas provided 12 points. Barcelona rarely lost at home in the Top 16 and this defeat may be a very costly one. 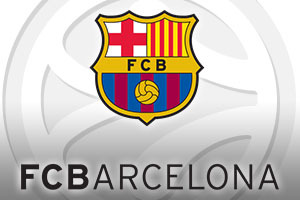 The game went to overtime and in the end, the Catalan club suffered only their second loss in 41 home games in the Top 16. Ioannis Bourousis provided 24 points and 8 rebounds while Darius Adams grabbed 17 points, including the three point shot which took the game to overtime. Toko Shengelia provided 11 points while Jaka Blazic bounced into double figures with 10 points. The away team are now 3-2 in Group F and will be relieved to have grabbed the win considering they blew a 13 points lead in the third quarter. The hosts fall to 2-3 in the group with Alex Abrines grabbing 21 points, all in the last 16 minutes of play. Stratos Perperoglou provided 10 points and Tomas Satoransky offered up 8 points and 5 assists.